My youngest sibling is a regular customer of The Hummigbird’s Bakery, hence when he was over I asked what was his favourite cupcake and he said Red Velvet. 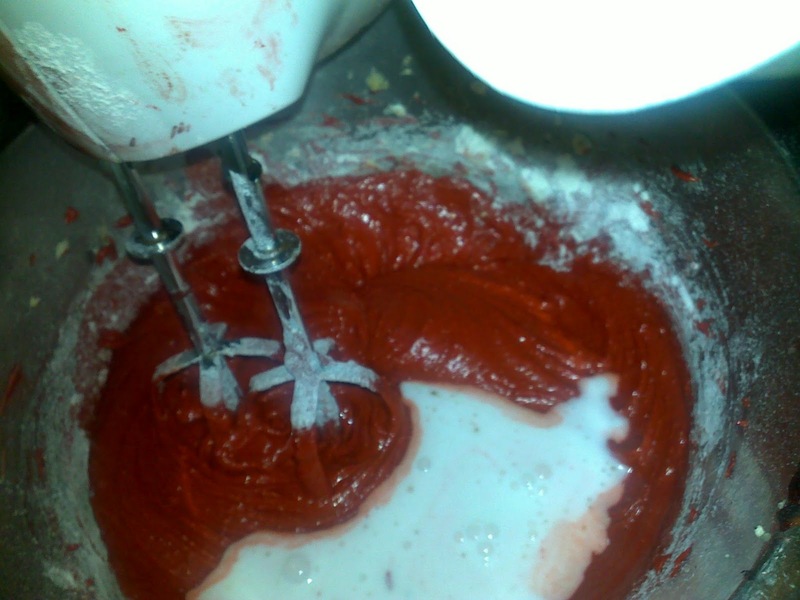 He’s their biggest fan and he loves most of their cupcakes, I was going to experiment with Chocolate Orange- but as he said that was flavour that he actually disliked- I decided to make Red Velvet Cupcakes from their recipe book Cake Days. Apparently the author Tarek Malouf, was having a book signing and festive frosting demo at John Lewis in London. I hope someone filmed or does an inspired youtube tutorial. 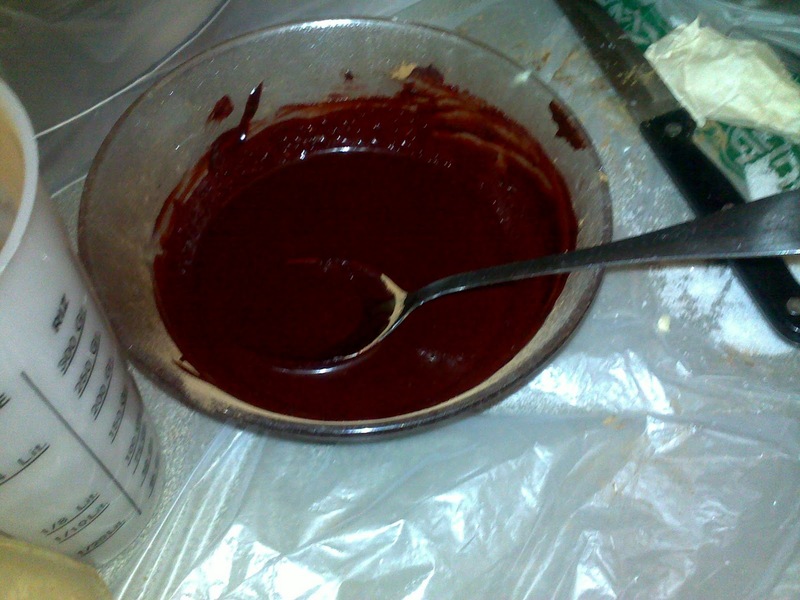 In a separate bowl, mix together the cocoa powder, red food colouring and vanilla extract to make a thick, dark paste. 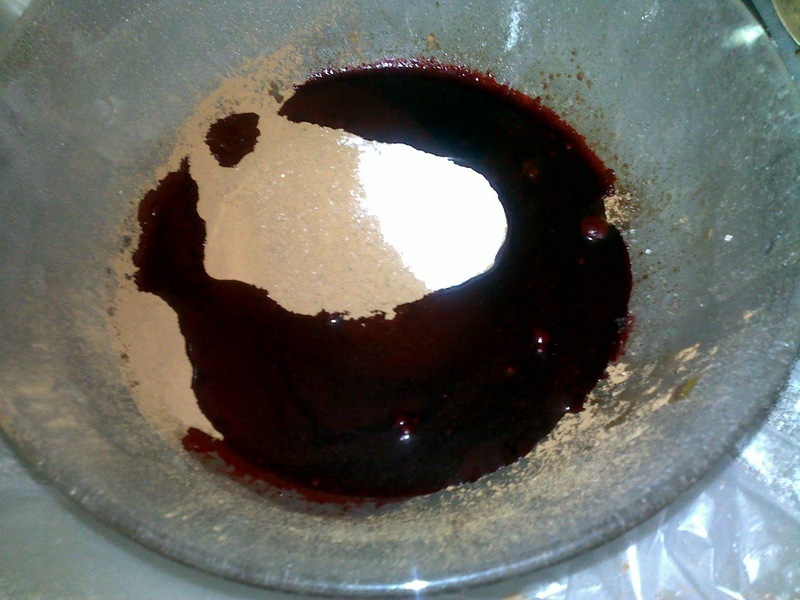 Add to the butter mixture and mix thoroughly until evenly combined and coloured (scrape any unmixed ingredients from the side of the bowl with a rubber spatula). 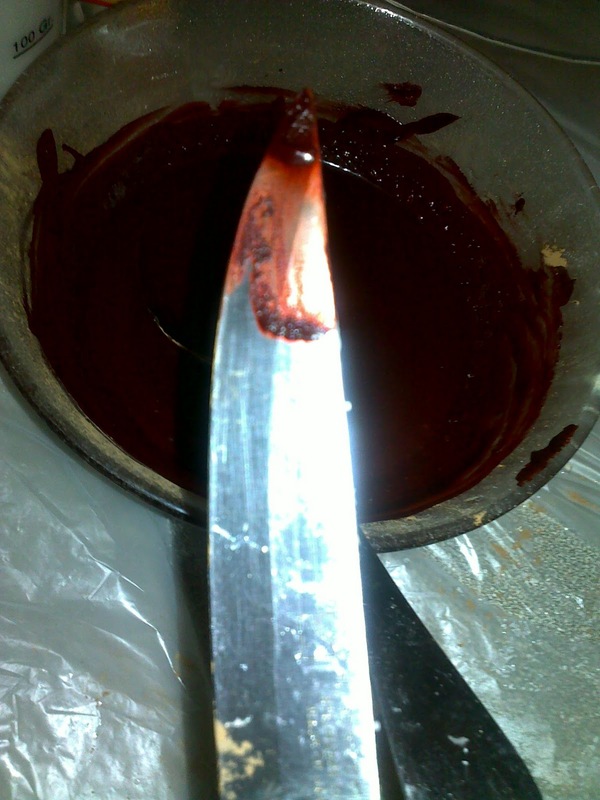 Bloody knife- good for Halloween? 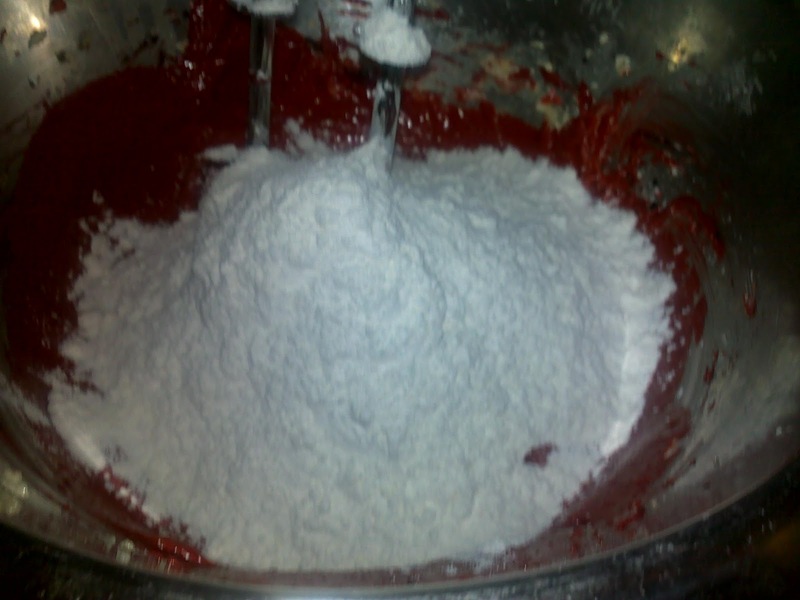 Beat until well mixed, then add half the flour, and beat until everything is well incorporated. Repeat this process until all the buttermilk and flour have been added. Scrape down the side of the bowl again. 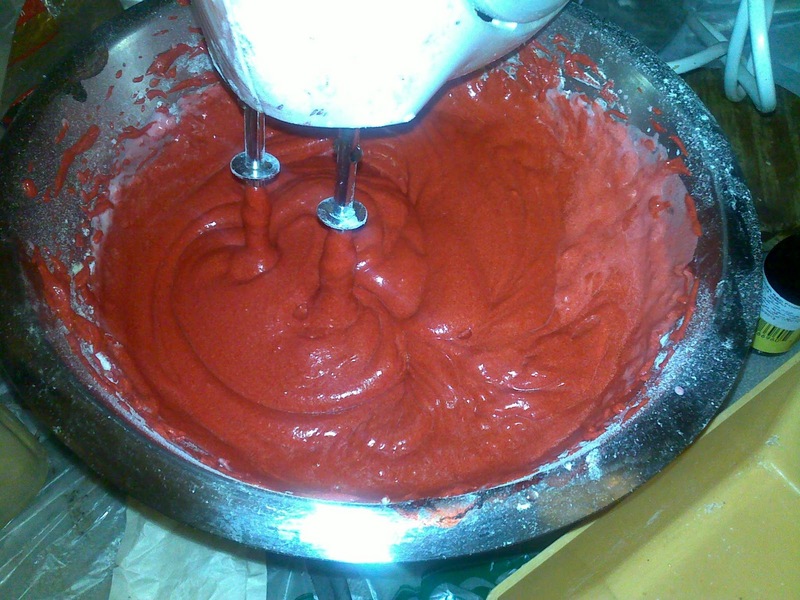 Turn the mixer up to high speed and beat until you have a smooth, even mixture. 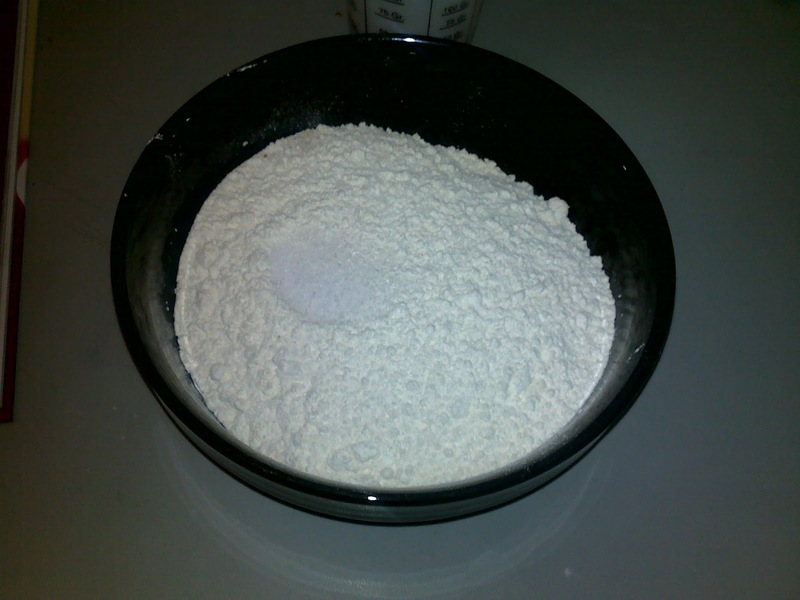 Turn the mixer down to low speed and add the salt, bicarbonate of soda and vinegar. Beat until well mixed, then turn up the speed again and beat for a couple more minutes. Spoon the mixture into the paper cases until two-thirds full (I use an ice cream scoop) and bake in the preheated oven for 20–25 mins, or until the sponge bounces back when touched. A skewer inserted in the centre should come out clean. 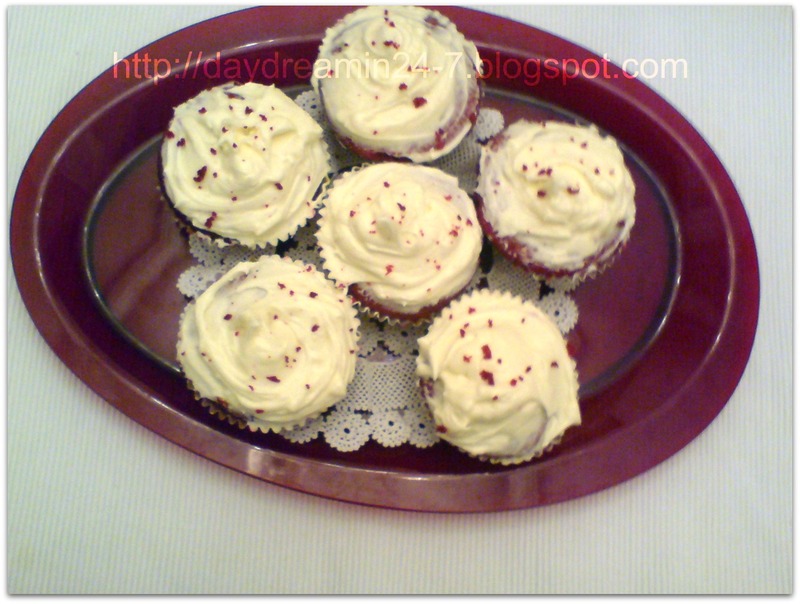 Leave the cupcakes to cool slightly in the tray before turning out onto a wire cooling rack to cool completely. 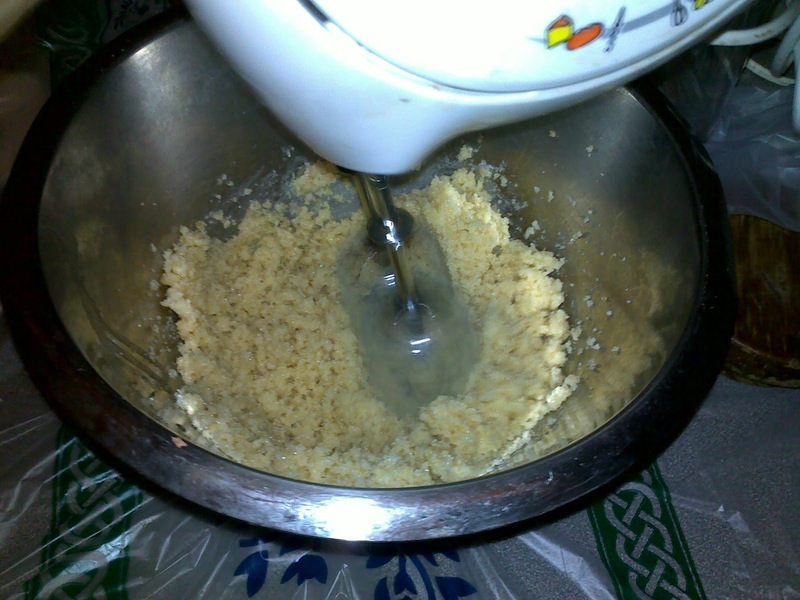 Meanwhile for the cream cheese frosting: Beat the icing sugar and butter together in a freestanding electric mixer with a paddle attachment (or use a handheld electric whisk) on medium-slow speed until the mixture comes together and is well mixed. In the beginning it will seem as though you have too much icing sugar, it helps if the butter is softened and melted this stage may take a while. Add the cream cheese in one go and beat until it is completely incorporated. 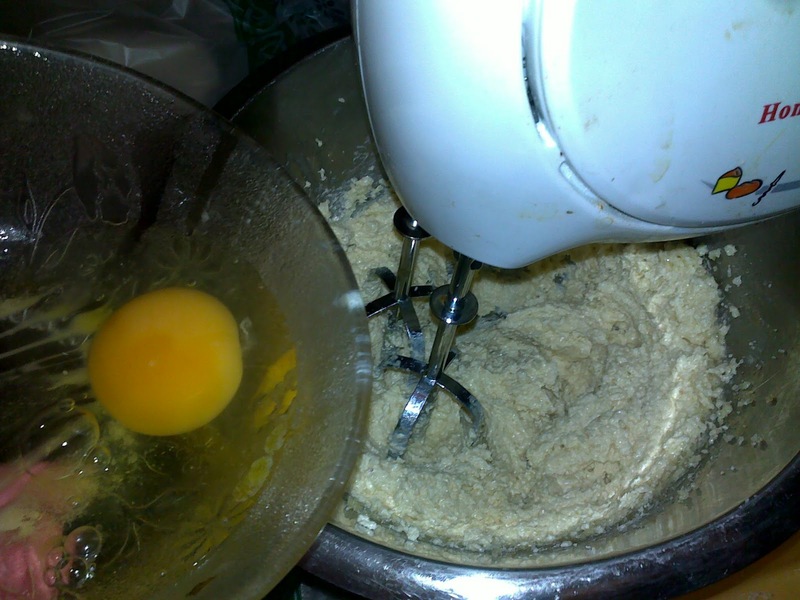 Turn the mixer up to medium-high speed. Continue beating until the frosting is light and fluffy, at least 5 mins. Do not overbeat, as it can quickly become runny. 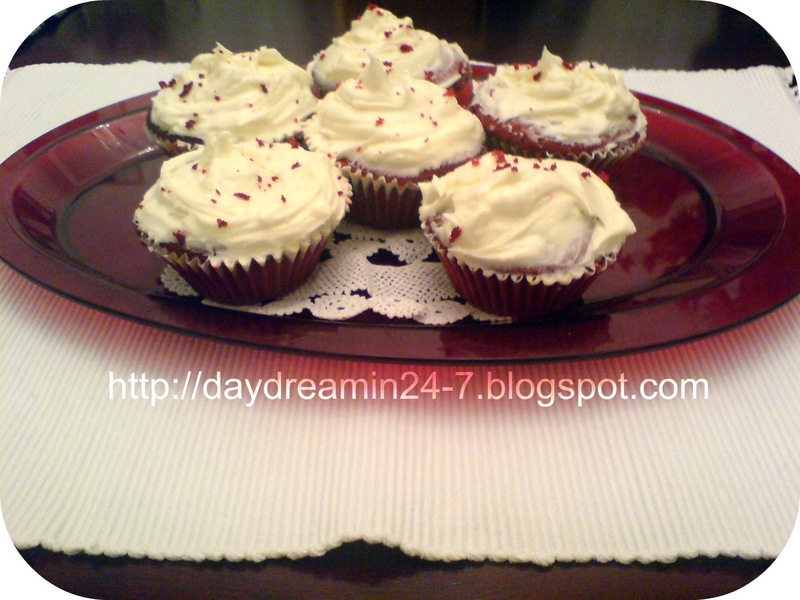 When the cupcakes are cold, spoon over the cream cheese frosting on top., approx 2 tablespoons of frosting per cupcake. Optional decorate with red sprinkles. Don’t miss out on great recipes in the future, find me on Facebook. Next Post Product review-Soap and Glory’s The Righteous Butter.